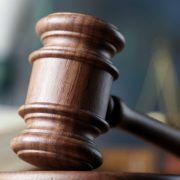 A 33-year-old man has been extradited from New South Wales today, as part of the investigation into the 2007 murder of Jay Brogden. 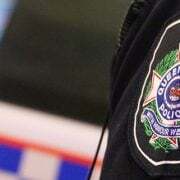 The man arrived in Brisbane this morning from Sydney, extradited for breaching parole following a stabbing incident in Airlie Beach in 2009. 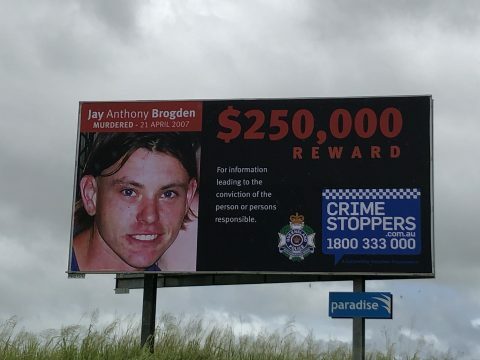 It comes after police launched a billboard in Cannonvale as part of their investigation into the cold case homicide of Jay Brogden. Police were hopeful that the image of Brogden would encourage anyone with information to come forward. While investigations are ongoing, homicide detectives in collaboration with Whitsunday investigators are confident with today’s arrest and further information generated by the billboard. 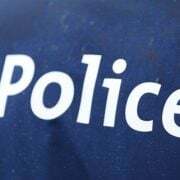 “Although we are pleased with the information we have received, we still know there are people out there with knowledge of what happened to Jay Brogden and we urge them to talk to us now,” Detective Inspector Hansen of the Homicide Group said.